“You gonna work out?”, someone asks incredulously. 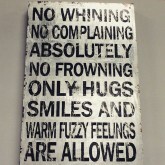 Insert many other reasons here. It seems that simply being away from home is often reason enough to park your luscious behind firmly in a chair, and flip a birdie to all things physical. Yet, training (or simpler – MOVING) while you are away from your home base does not have to be complicated or time consuming. I’ve gone for a run in Italy, Austria, Mexico and France. Done push-ups on the beaches of Nicaragua, India and Dominican Republic. Visited a CrossFit gym in New York, Vancouver, Calgary, Boston, Bologna and Milan. Did bikram yoga in Brussels and Tel Aviv, and ashtanga yoga in Moscow, Paris and Rishikesh. The easiest way to avoid any kind of exercise while you are away is to “forget” to pack appropriate clothes or shoes. Running is difficult in flip-flops (although I have run barefoot on the beach – that was fun!). 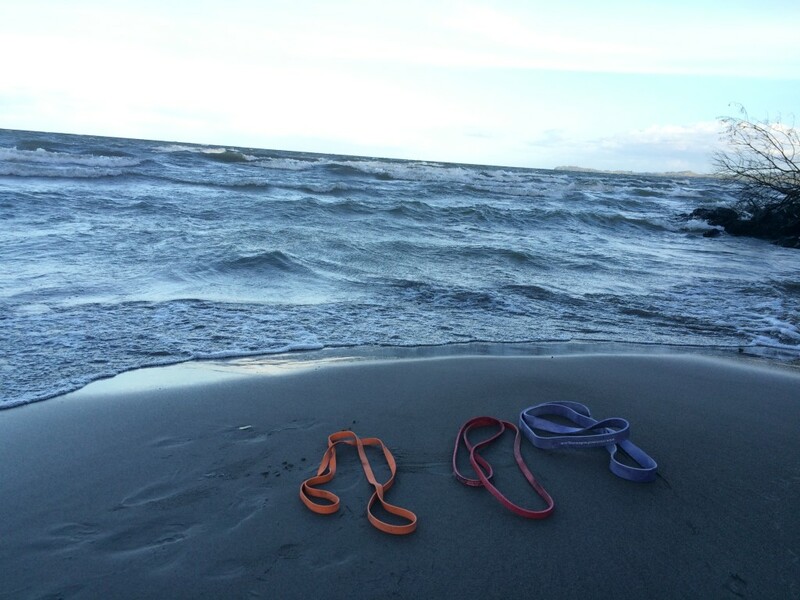 Bring ONE athletic outfit and ONE pair of shoes with you (more if you know you will be very active). Many items can multi-task: shorts can be worn in the gym AND the beach, and dry fit tees and tank tops can be layered with other pieces of clothing during the day. 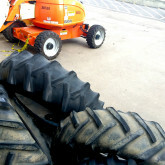 Bringing equipment is optional, but can increase your training options. Use your judgement here. For example, if I am away for a weekend, I may decide to check out a local yoga studio and go for a run during the trip – so I won’t need any additional gear. However, if I am away for two or three weeks, and I want to give myself an option of working out anywhere, I’ll bring few light items such as lacrosse ball, jumping rope and few resistance bands. This can be anything from booking a hotel with gym on premises to buying a week pass at a local gym to researching the yoga studios in town. I always like to check out the things that are unique to the place I am going. 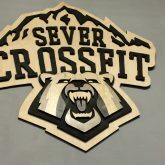 The largest CrossFit box in Europe? Awesome. Fanciest gym in New York City? Sign me up. Going to Mysore, India? I hope you’ll do some yoga at the Ashtanga Institute. It doesn’t actually matter WHAT it is you do. Unless you are away for months at time, or travel every single weekend, there is no need for a structured program (although you can continue on with your regular training too with few pieces of equipment and some practice). How am I going to move my body today? Here are my favourite ways of incorporating movement while travelling. If you are travelling within the country, you may be able to simply drop by a large chain of gyms – 24 Hour Fitness, Equinox, Anytime Fitness are some examples. GoodLife Fitness is a Canadian chain of gyms that allows members to do just that. I loved being able to just show up to the gym in Calgary, and not skip a workout. 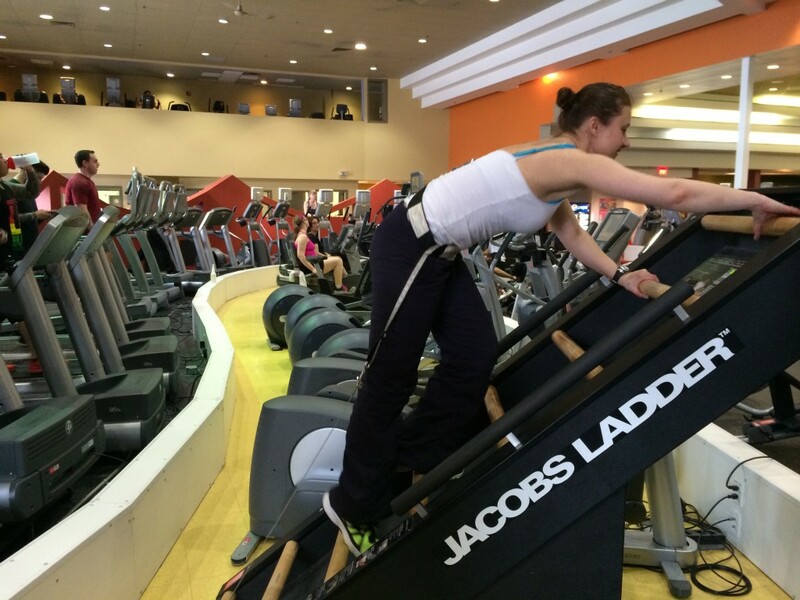 Playing with Jacobs Ladder at GoodLife Fitness in Calgary. 2. Do the sport/activity you are familiar with. 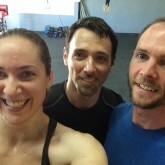 I love going to a local CrossFit box or yoga studio wherever I go. 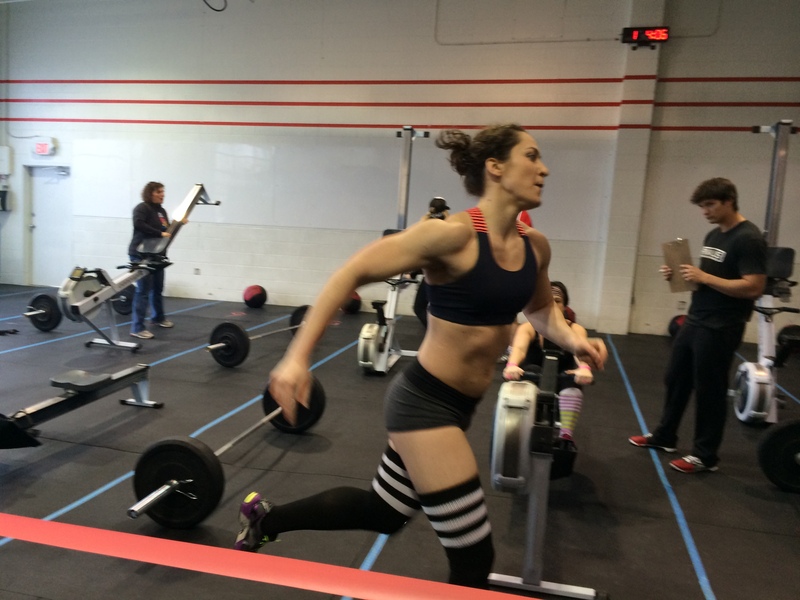 One of the CrossFit Open workouts at CrossFit Calgary. There is a magic sense of safety and familiarity in doing an activity you are familiar with in a completely different place. The beginning chant of a Led Ashtanga class is the same anywhere in the world, and a barbell is a barbell. How very comforting. I found a gym in Nicaragua! 3. Walk (or run) somewhere. Exploring a new city on foot is one of my favourite ways to get a feel for the place. I have a small day pack with a hydration bladder, and clips across the front that fits my laptop, journal, jacket or sweater, and packed lunch. This way I can spend an entire morning or afternoon, wandering around – walking some, and running some, and parking at the best smelling coffee shop at my leisure. 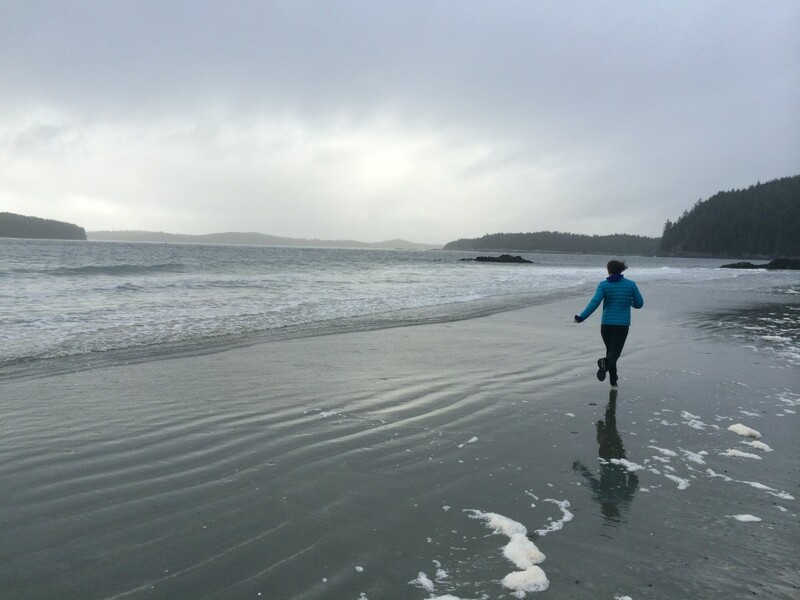 Running on a beautiful beach in Tofino, BC. If you are travelling for work, getting outside for a walk or a run will get you a bit of fresh air before you spend most of your day couped up in a conference room surrounded by Power Point slides and mediocre croissants. 4. Incorporate movement into your social contact. Meet a friend at a gym, and do a workout together. Or head to a local park or beach. Perhaps, there is a forest nearby? Or a waterfall? Or both? 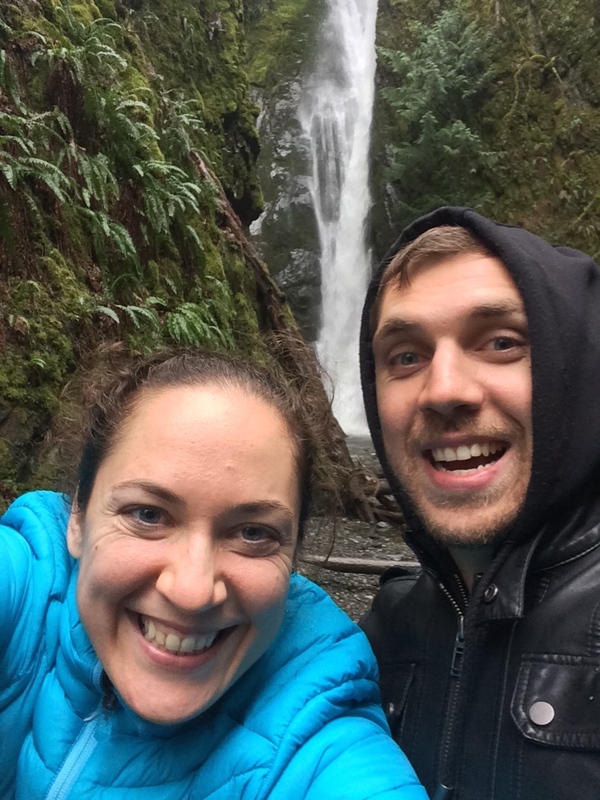 Exploring Vancouver Island with baby brother. Trying an activity outside of your regular routine can be fun too – spin class, Zumba or indoor climbing. Perhaps, there is a lesson on traditional Indian dance? 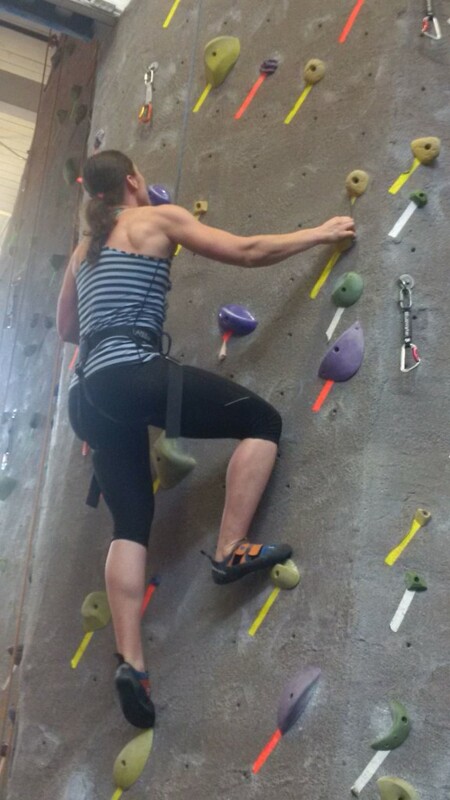 At True North Climbing in Toronto. 5. Do body weight exercises. Anywhere. If all else fails, your trusty body is with you no matter where you go. Unless you’ve been experimenting with hallucinogenic drugs or practicing out of body travelling, of course. And in that case, working out is probably a bit further down on your list of priorities. A simple circuit of air squats, push-ups and sit-ups done for ten or fifteen minutes is a great workout in a pinch. Push something. Pull something. Climb something. Big (or small) rocks work well for deadlifts, flips and goblet squats. A bag or backpack filled with books will do the same thing. Play Flower by Moby, and do squats. Lower down when you hear “Sally down”, and come up when you hear “Sally up”. Play Roxanne by Police, and do a burp every time they say Roxanne. So, there you have it… On the go, away from home, travelling? YOUR TURN: What is your biggest challenge when it comes to exercising while travelling? What strategies have helped you in the past? Liked this post? 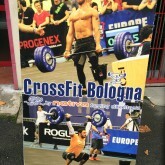 You may enjoy reading about healthy options at the airport and my visit to CrossFit in Bologna, Italy. Keeping fit on the road from Travelettes. Mommy workout – strollers and all – from Precision Nutrition. No gym exercise ideas – from Precision Nutrition.